From Sherri K. Falls, the talented designer behind This & That Pattern Company, comes a bright and beguiling collection of delightful designs you'll love to stitch. 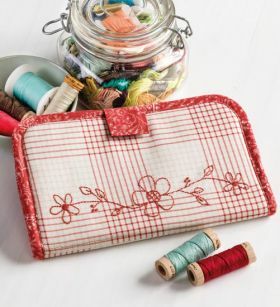 Even if you're a beginner, you'll be successful from the get-go as you sew a variety of cheerful and colorful projects that are both fun and functional. 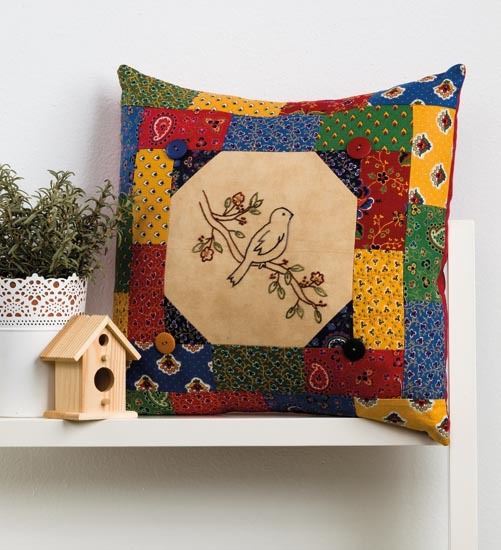 You'll enjoy giving handmade gifts to friends and family--even to yourself! You can judge this book by the cover! It's bright and cheerful, filled with great projects. 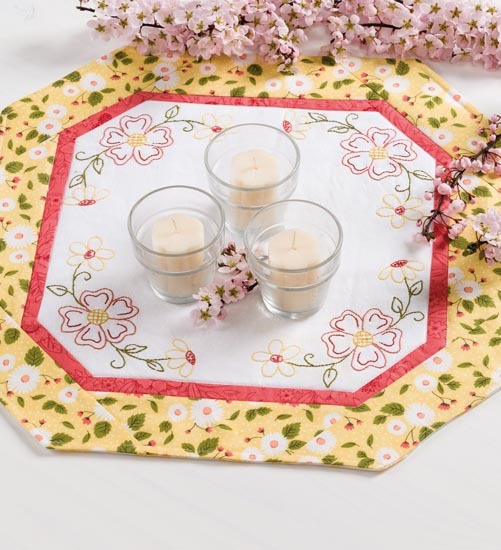 Cute table runners, bags big and small, embroidery, applique. It's all there in a glorious spring colors. You can always count on Sherri for accurate instructions, and Martingale for great illustrations. I particularly like the detailed close-ups that illustrate small details on the projects, for instance covered buttons and blanket stitching on the applique. There are so many adorable projects for all skill levels included. The layout and photography are excellent making a book that's as pretty to look at as it is useful. I truly believe it would make a great addition to your sewing library. I hope you enjoy it as much as I did ! What a great book! It includes tote bags, table runners, book cover and more. All with easy to follow directions for all levels of sewing. You can use your stash, charm packs and jelly rolls. Great Job Sheri....you have everything in one book for our sewing pleasure! Now what to make first??? Sherri Falls designs and patterns are always well written and easy to follow, resulting in success for those who use them! 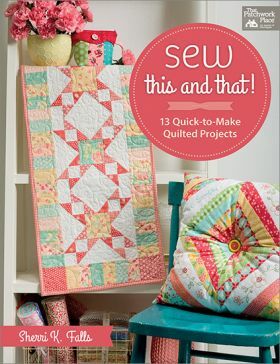 This book includes a diversity of projects that appeals to quilters of all ages! Have already purchased a copy for my 20 something daughter-in-law ... we're going to create memories as we work on projects from this book together! I really love her patterns, so nice to a have them in a book with variety of projects. Bright and cheery, directions are great. Very fun. 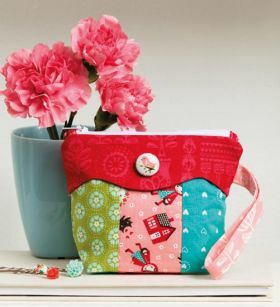 Charms packs,, jelly rolls, fat quarters, yardage -great use of fabrics. 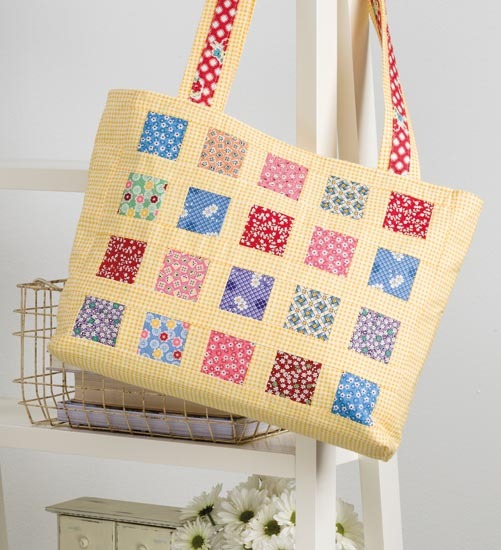 Sew This and That! 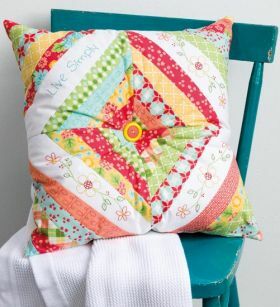 : 13 Quick-to-Make Quilted Projects comes from the designer who owns the This & That Pattern Company and features a gathering of designs made for needleworkers looking for a wide array of projects for the home and gift-giving. 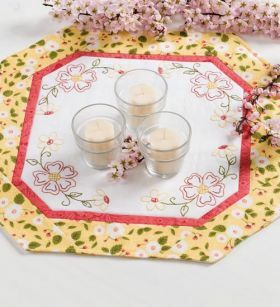 A dozen projects for all levels includes candle mats, a button-embellished pouch, a table runner, a tote bag, and more. 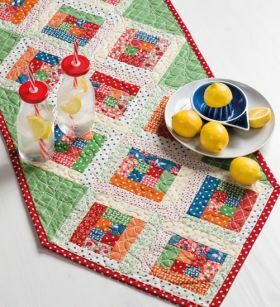 From materials and cutting to assembly, this collection pairs its projects with bright color photos and step-by-step directions that leave nothing to question. 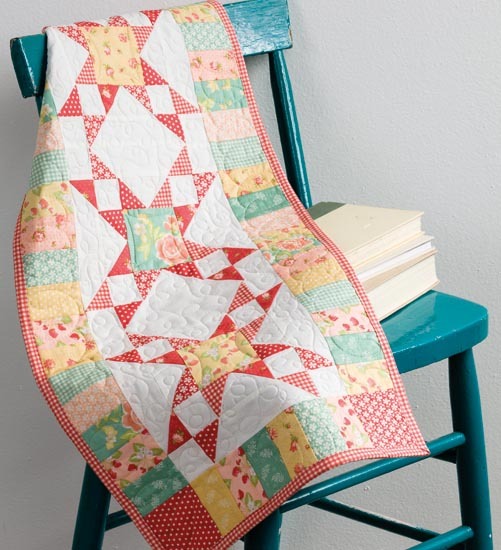 There are over a dozen enjoyable projects for beginners to intermediate quilters. I found several projects that I want to make. 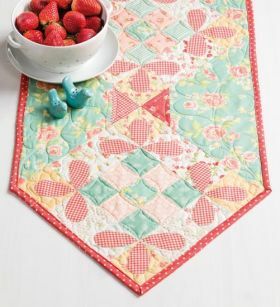 "Cottage Charm Table Runner" is adorable. There a quite a few projects that incorporate embroidery and I happen to love the mix of hand sewing and machine sewing. 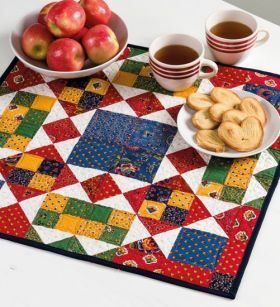 Several of the items could be great stash busters or you could use fabric with a theme, such as Patriotic, and display during the month of July, or even precuts. We all have a ton of precuts we are saving for just the right project. 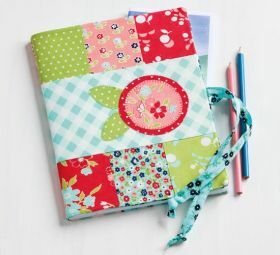 Sherri tends to use more florals in this book, however, any other fabric combinations could be used with a little imagination. 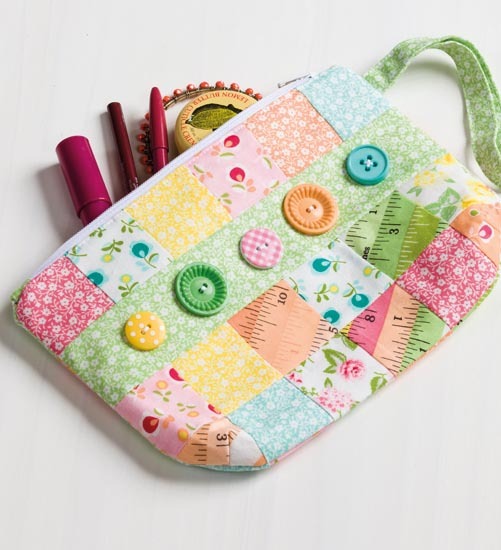 I am smitten with the "Button Bliss Pouch". 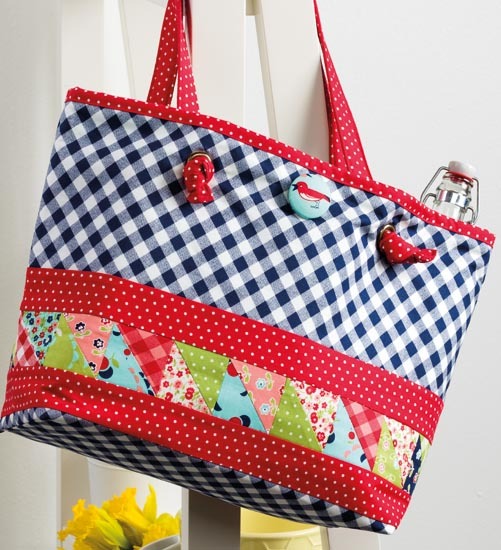 There are fantastic instructions for zipper placement in the "All Squared Up Tote". I encourage you to have a look at all the projects in this book. 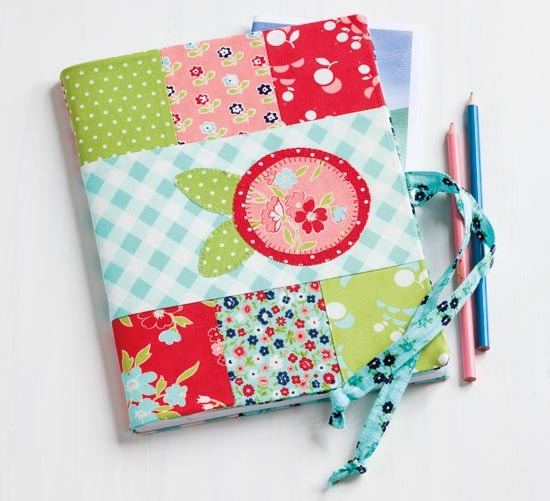 This book is a great value for the sheer number of patterns and ideas included. Sherri K. Falls is the owner of This & That Pattern Company. She began quilting in 1994 and enjoyed putting quilt patterns together in her own unique way. In 2000, Sherri started a machine-quilting business with her mother, who owns a quilt store in scenic Waconia, Minnesota. Sherri has designed many fun patterns for Moda Fabrics. She and her husband, Paul, have three children.